HyperX, the gaming division of Kingston Technology Company, Inc., today announced the HyperX Cloud for PlayStation®4 (PS4™) gaming headset. Officially licensed by Sony Interactive Entertainment LLC, the new headset is designed specifically for PlayStation 4 gamers with complementary PlayStation 4 blue color accents, and HyperX comfort. HyperX Cloud is platform compatible with PlayStation 4, while offering 53mm drivers for high quality sound, and an aluminum frame for durability. It also features a detachable microphone for in-game chat while gaming and can be removed for mobile music, games and video. Meanwhile, competitive gamers can enjoy HyperX’s Signature Memory Foam, soft leatherette cushions, and an adjustable headband for ultimate comfort. 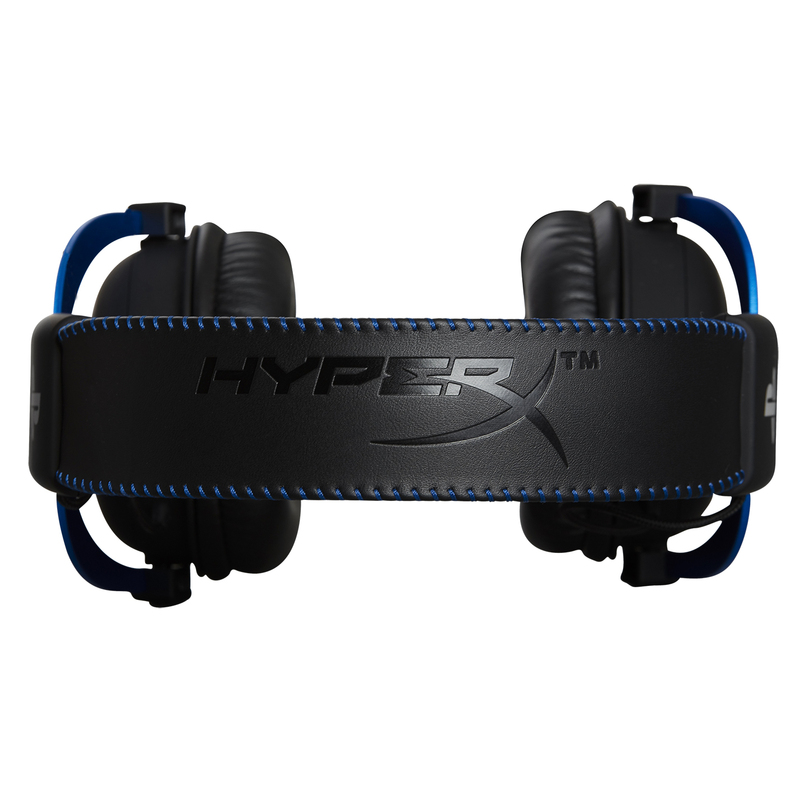 HyperX is an avid supporter of Esports and the gaming community as it develops products designed specifically for competitive gamers. HyperX recently expanded its award-winning lineup with the Cloud Flight wireless gaming headset, offering up to 30 hours1 of battery life. The new Alloy Elite RGB mechanical gaming keyboard offers per key lighting customization, macros and up to three light profiles, all customizable through NGenuity software. The new Pulsefire Surge RGB mouse offers pro-level performance with up to 16,000 DPI accuracy, featuring dynamic 360o RGB light effects using NGenuity software. For more information on HyperX products and availability, please check www.hyperxgaming.com. HyperX Cloud for the PS4 system is now available at Best Buy and on Amazon for $79.99 MSRP. 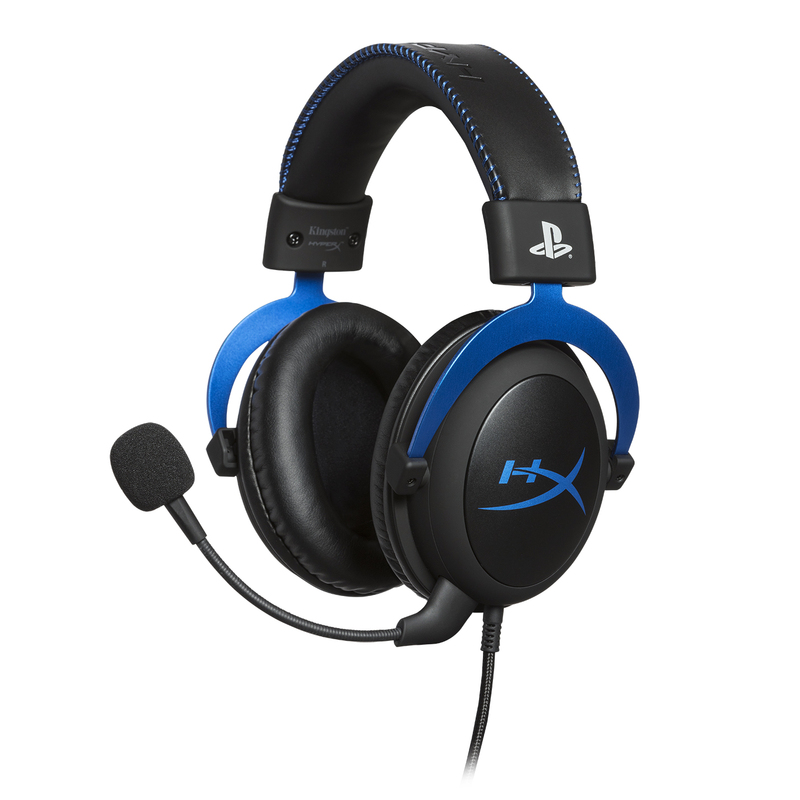 For more information on Cloud for PS4 headsets and updated availability, please visit the HyperX webpage. HyperX is the gaming division of Kingston Technology Company, Inc., the world’s largest independent memory manufacturer, with the goal of providing gamers, PC builders, and power users with high-performance components. For 15 years, the HyperX mission has been to develop gaming products for gamers – high-speed memory, solid state drives, headsets, keyboards, mice, USB flash drives, and mouse pads – to the gaming community and beyond. The award-winning HyperX brand has carved its name atop the leaderboard by consistently delivering products that deliver superior comfort, aesthetics, performance, and reliability. HyperX gear is the choice of pro gamers, tech enthusiasts, and overclockers worldwide because it meets the most stringent product specifications and is built with best-in-class components. HyperX has shipped over 5 million headsets worldwide. Join the global #HyperXFamily at facebook.com/hyperxcommunity, and learn how HyperX products can enhance your console experience and boost performance for both you and your PC at hyperxgaming.com. Whatever your skill level, whatever genres you play, we embrace all gaming enthusiasts everywhere with our core belief — We’re All Gamers.